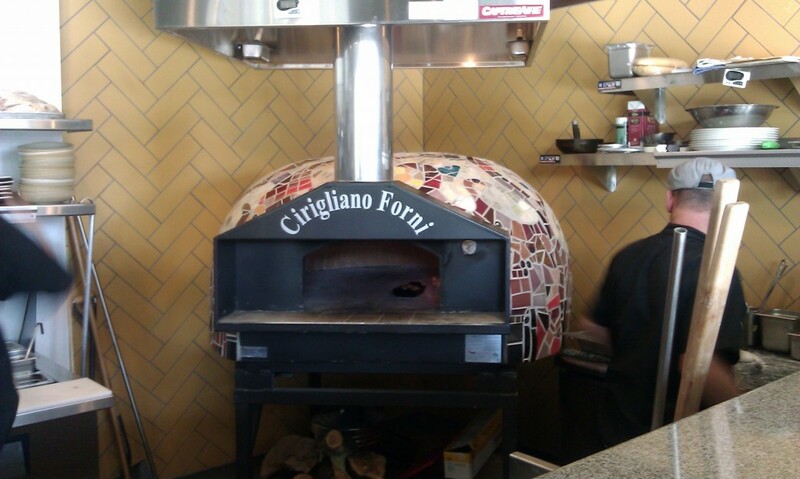 Tucked In The NE corner of the SouthCreek shopping center is a little slice of pizza heaven! 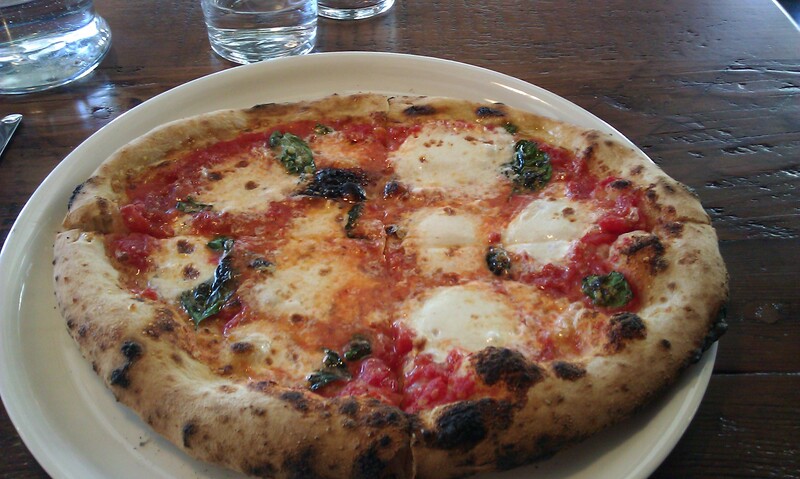 For the last couple of years Campo has had a monopoly on Neapolitan style pizza in Reno. With the opening of SouthCreek Pizza on the southern end of town in late 2013, Campo faces some new, and very tough competition. 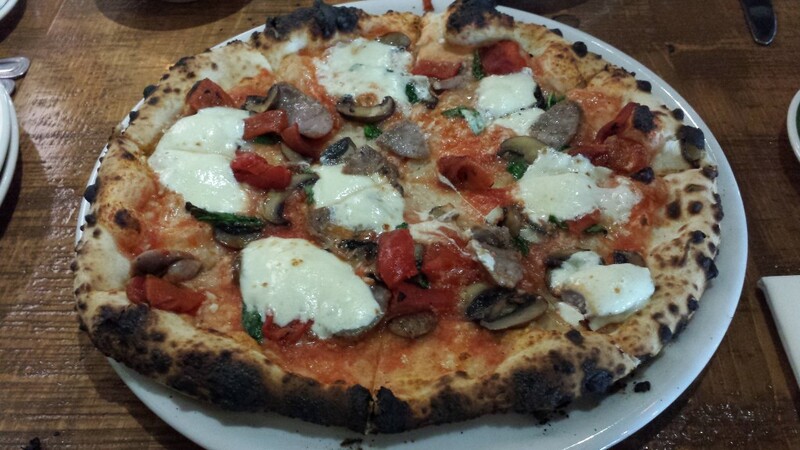 While Campo is an upscale Italian restaurant that happens to feature Neapolitan pizza on an otherwise varied menu, SouthCreek Pizza is an upscale casual restaurant that is unabashedly 100% focused on making authentic, high-end pizza. If you are looking for braised pork shank or truffle bisque, tough luck, you won’t find it here, what you will find though is outstanding Neapolitan thin crust pizza. Don’t take my word for it, just look at the menu. 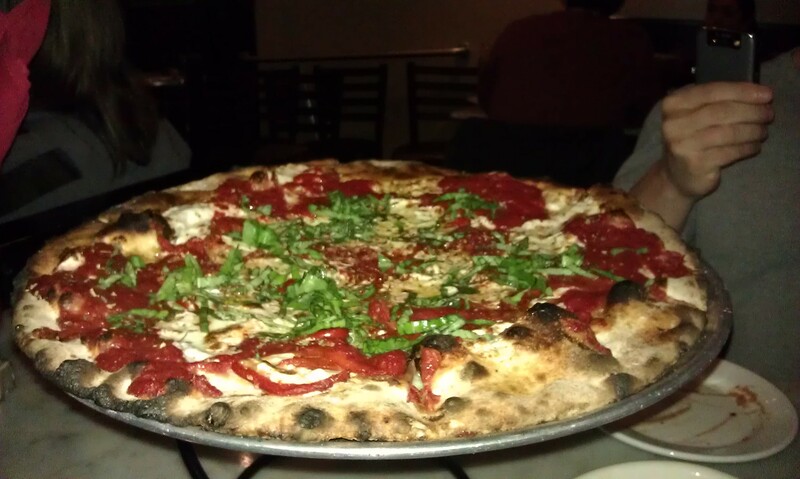 For your main course your options are pizza, pizza, and more pizza … perfect! That laser like focus on great pizza is readily apparent as soon as one walks in the door as SouthCreek’s imported Stefano Farrara wood-fired brick oven dominates the room from its perch just over the bar and almost screams “we take our pizza seriously here”. Fully warmed up, the Stefano Farrara will effortlessly pump out a fully cooked, slightly charred Neapolitan pizza in under 2 minutes. SouthCreek’s passion and focus on pizza is not only evidenced by its oven and its menu, but, perhaps most importantly, by its dough. 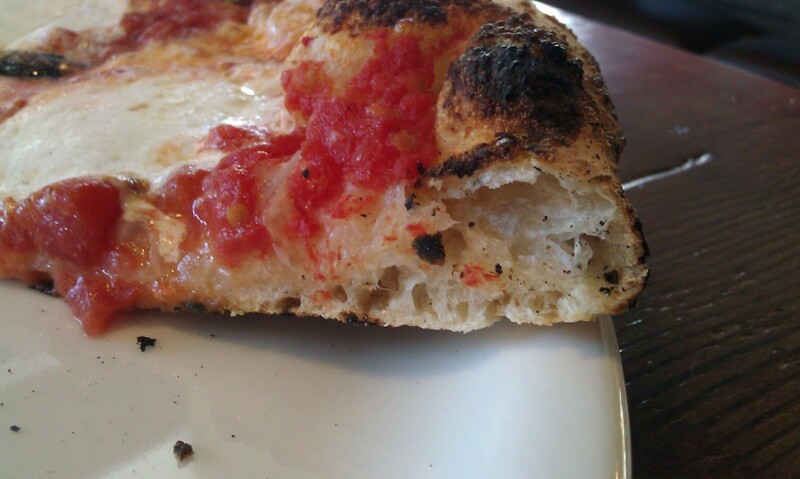 SouthCreek uses “00” flour for its dough and then ferments it for at least 48 hours. This “cold raise” is designed to produce a moist, elastic dough and from watching the pizzaiolo’s make the pizza, its apparent that the cold raise works as they are able to quickly work balls of dough into 12 inch pies with relative ease. 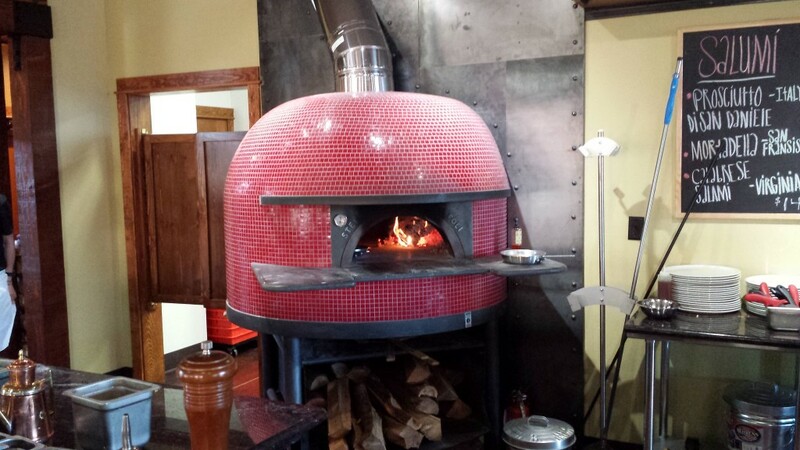 So, they have the oven, the menu and the dough, but how’s the pizza? 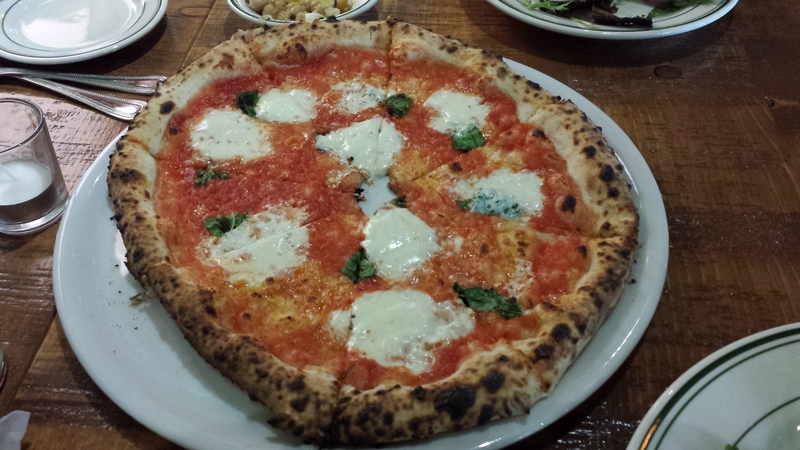 Well, the best way to judge Neapolitan pizza is to order the world’s benchmark pizza, the Margarita, and that is just want I did. SouthCreek’s Margarita not only is faithful to the Neapolitan ideal from an ingredients standpoint, with just tomato, mozzarella, basil, extra virgin olive oil and sea salt, but it is faithful from a size, texture and, most importantly, taste perspective as well. 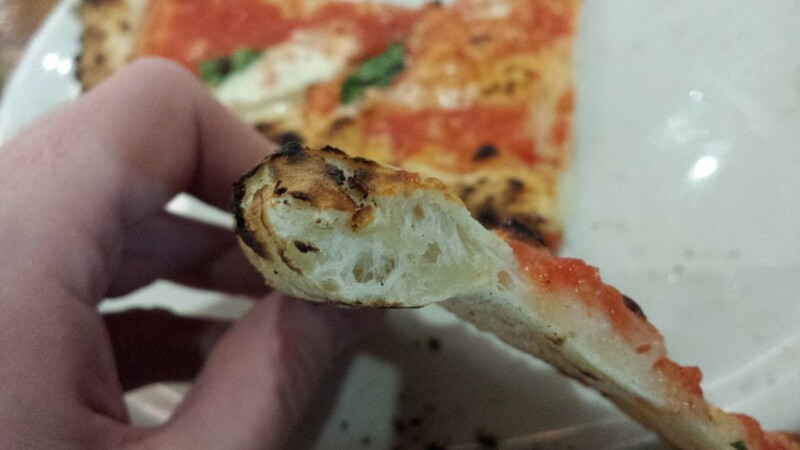 Charred on the edges, extra thin in the center, chewy, and moist, SouthCreek’s Neapolitan can stand toe to toe with many of the best Neapolitan pies in the country. 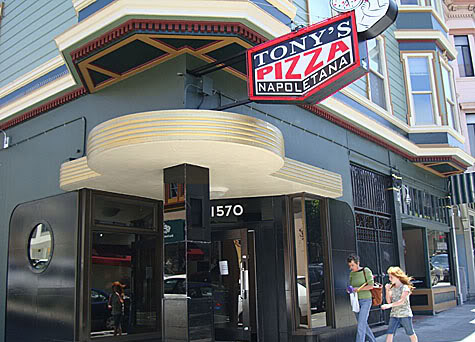 It’s not quite in Tony’s league, but any fan of authentic, high quality Neapolitan pizza will not leave disappointed. Excellent bubble structure and the right amount of charring … yum! What really stands out about SouthCreek’s pizza is how moist and chewy it is. In fact, over the 8 or so pies I have sampled, I have to say that, pie for pie, SouthCreek’s pizzas were consistently more chewy and more moist than Campo’s and it’s enough of difference for me make a statement that some in Reno may find to be heresy: SouthCreek’s pizza is better than Campos. I’m not 100% sure, but I would guess that it’s the 48 hour cold raise that accounts for the difference and while it is admittedly a subtle difference, it’s an important one to any pizza aficionado. Now don’t get me wrong, Campo makes a great pie, especially by Reno standards, but if I had to choose a favorite between the two it would be SouthCreek. Given the pedigree of Campo and the national attention it has received, I think it would surprise many in Reno to learn that SouthCreek is actually putting out better pies but this shouldn’t really be that surprising. Unlike Campo, SouthCreek is 100% focused on pizza so one would kind of expect them to go that extra mile to get the pizza just right (and they do). You can almost taste their passionate focus on pizza and its enough to tip Reno’s Neapolitan pizza crown in their favor. As for the restaurant itself, it is located in the Northeast corner of the SouthCreek shopping center just off Virginia Avenue. 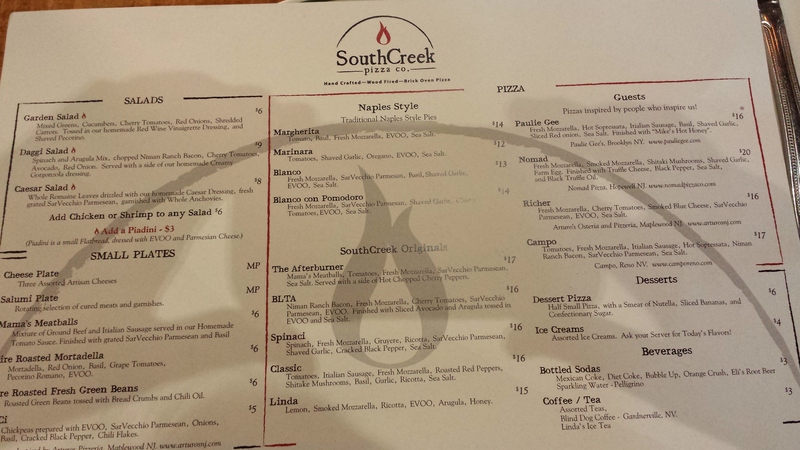 SouthCreek is definitely not some hole in the wall pizza joint. 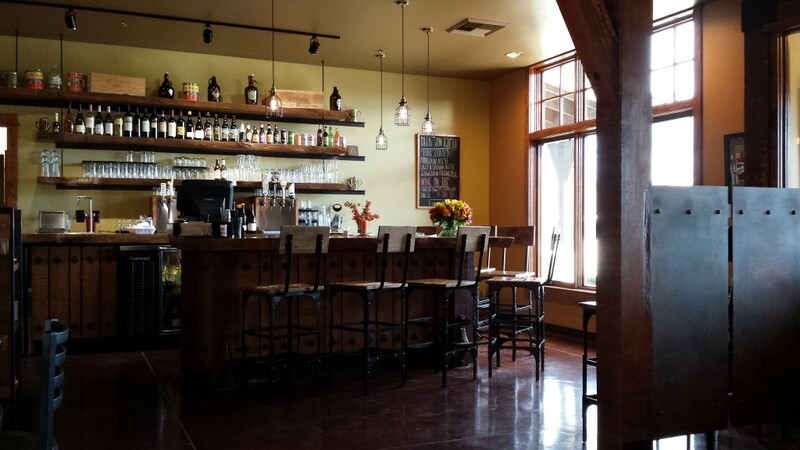 It is a well appointed sit-down, full service upscale casual restaurant with a full bar and a nice cozy atmosphere. There are about 50 seats in the restaurant including several at the bar that overlook the pizzaiolos and the oven (that’s where you will find me). As you can see from the picture of the menu earlier, outside of some salads and a few appetizers, there is only pizza on the menu, so you should leave any non-pizza loving friends or family members (not that you should have any) at home as they will be out of luck at SouthCreek. The bar menu deserves special mention as they have a nice selection of draft beers and a number of wines by the glass and bottle. 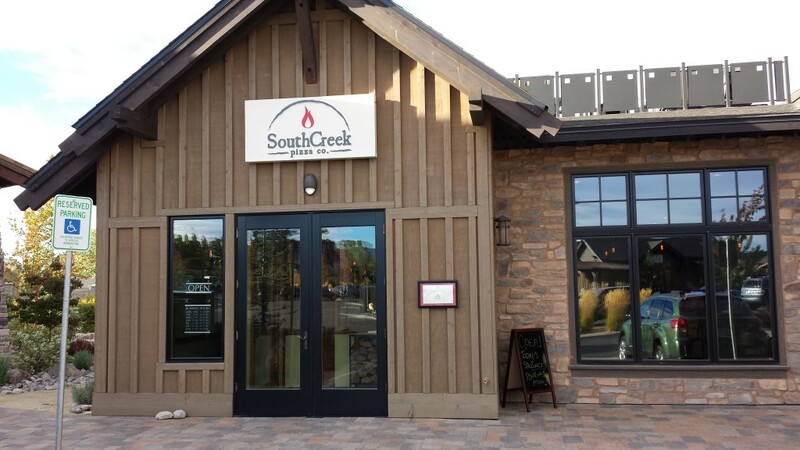 Assuming you are with people who love pizza (and why wouldn’t you be), SouthCreek is nice enough for a date night or night on the town but it’s also a casual enough place to take the kids for an early dinner. SouthCreek is also a family run establishment. 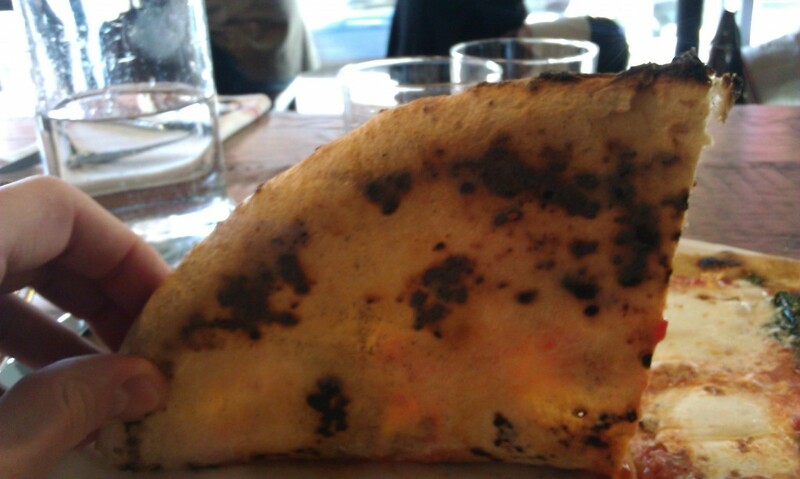 The son of the two owners is the main pizzaiolo and does a fantastic job. When talking to him his passion for pizza is obvious. His mom can often be found working the front of the house and his dad is often in the back. They apparently are not experienced restaurateurs, but you couldn’t tell that from what they are putting out in the front of the house. SouthCreek’s focus on and passion for pizza is obvious and more importantly, it shines though in their pizza. If you are looking for a great Neapolitan pizza, dare I say the best (by a hair) in Reno, than look no further than SouthCreek Pizza.